If you have not filed FBARs in previous tax years, but have not yet been contacted by the IRS, you may choose to disclose your previously unreported foreign bank accounts. You will have to follow the specified procedures for the appropriate disclosure program, and may have to pay penalties, although they will be less severe than the penalties you will have to pay if the IRS discovers your FBAR violations. For the Offshore Voluntary Disclosure Program (OVDP), you will have to report all undisclosed foreign financial accounts for the past eight years. This means you may have to report accounts that are already beyond the statute of limitations in order to take advantage of this program. The OVDP requires the payment of several different penalties, but it is the only disclosure option available for willful violations. Talk to your tax attorney if you want to know whether or not your FBAR violations were willful. The Streamline Filing Procedures only require three years of amended returns and six years of FBARs. The associated penalties are much lower than the OVDP penalties, but the Streamlined Procedures are only available for non-willful FBAR violations. Taxpayers who reside outside the U.S. may not have to pay any penalties when using these procedures. 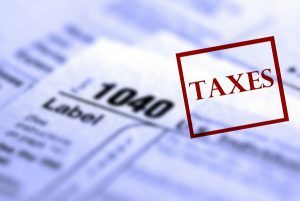 If you have been contacted by the IRS regarding FBAR violations, or if you are interested in taking advantage of one of the voluntary disclosure options, contact a tax attorney. Read our Free Special Report for more information on the Streamlined Filing Compliance Procedures.